When migrating to Windows 7, it is essential to utilize an effective migration tool. So, how do you determine which option is right for your organization? And how do you go about making the business case for a certain technology? 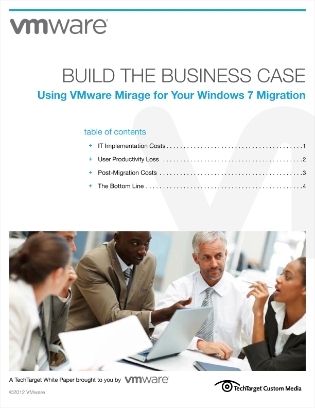 This white paper explores using leading tool for your Windows 7 migration. Learn about the information needed to determine and realize the business benefits of utilizing this solution, when comparing it to other solutions.